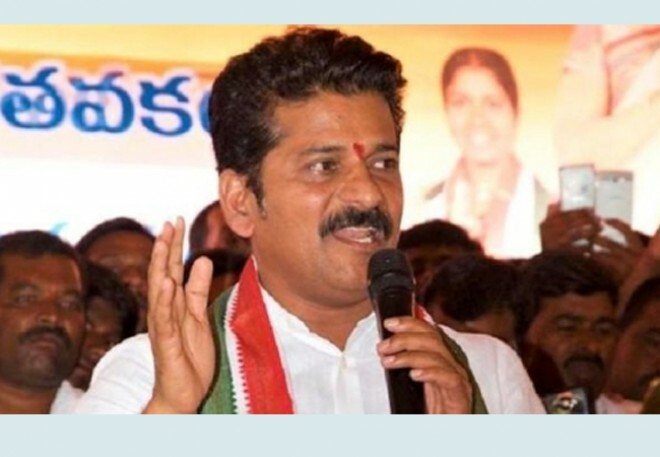 Hyderabad, Feb 22: Here is the latest news that, Telangana Congress leader Revanth Reddy has filed a complaint with the police against intelligence sleuths at the Jubilee Hills police station for invading his privacy. From this aspect, Revanth Reddy filed a police complaint after he allegedly caught intelligence sleuths snooping around his residence. A family member of Revanth Reddy told the media, "Intelligence sleuths are not only tapping the phone but also following Revanth Reddy, his family members and close associates regularly. Intelligence sleuths in plainclothes are always stationed near the house and wherever he goes. We thought some unidentified persons wanting to make an attempt on his life were on the prowl. After we caught sleuths snooping on us in a couple of instances, we called up Jubilee Hills police, handed them over and lodged a complaint." However, Hyderabad Jubilee Hills police said that they received the complaint but added that they cannot register an FIR on the grounds that the allegations were not true. Earlier as well, Revanth Reddy had lodged a complaint with the police that Telangana intelligence sleuths had behaved roughly with them, but no case was booked against them.